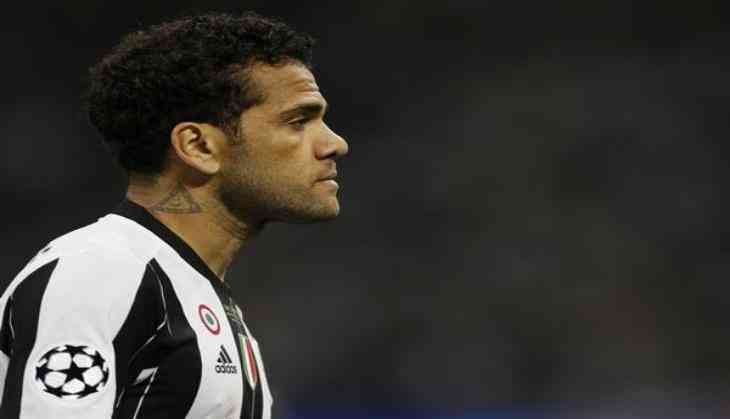 Juventus defender Dani Alves has confirmed that he has left Serie A champions after one season in Italy. Alves is now expected to join Manchester City, where he would have his reunion with Pep Guardiola, who managed him at Barcelona, reports the Guardian. The Brazilian right-back confirmed his departure on Instagram where he wrote, "I would like to thank all the Juventus supporters for the year I've had, to my team-mates who welcomed me like the professionals they are, for a club that wins and reaches finals." "I think that my respect for this club and its supporters was my dedication, my passion and all my effort to make the club greater every single day," he added. The 34-year-old further said that he would like to apologise to the Juventus fans if sometimes they thought he had done something to offend them. "Today our professional relationship ends and I will carry with me all of those who with love and true heart make Juve a great club," he said. "As everyone knows, I always say what I think and feel, so I feel that I should say thank you to Mr Marota [sic] for the opportunity he gave me, he's a great professional and someone who loves his job like few others," he added. The defender also insisted that money was not the reason for his departure. "I don't play football for money, I play football because I love the profession and those who are part of it. I leave it up to you to judge what I have done and worked for," he wrote. "I LOVE FOOTBALL and money is never going to keep me somewhere." Alves joined Juventus on a two-year contract from Barcelona last June and made 33 appearances as the club sealed the domestic double for the third successive year but fell to Spain's Real Madrid in the Champions League final.